Looking for the ultimate camp hack? Need a new camping packing list? Or maybe you’re looking to start a new outdoor-themed family tradition. 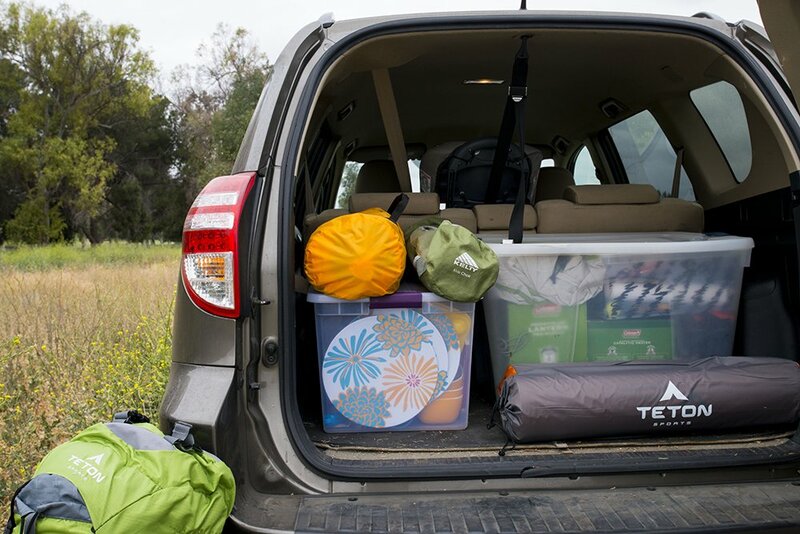 Car camping can be the perfect place to begin and we’re going to give you a jump start with camping bin organization, a complete camping packing list, and family camping tips. With a vehicle, parents and kids can be cheerfully deposited in the middle of nature with all the comforts of home, be it for one night, or 100. 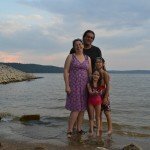 Like any new experience, though, the task of preparing for an inaugural family camping trip can seem rather daunting, so the editorial team at Outdoor Families Magazine has made it our mission to help families organize the ultimate camping bin storage system, a downloadable camping packing list, and deliver tons of family camping tips for such trips. Read on, then sit back, relax, and enjoy the great outdoors. Most frequently car camping families rely on a camping packing list to make sure nothing is left behind. If this summer marks the first time you’ve ventured out for an overnight in nature, try this basic, printable camping packing list created by the OFM team for a quicker getaway to the forest, beach, or mountains. Family Camp Hack : A large garbage bag works great for dirty laundry. The foundation for family camping bin organization starts with two sturdy, 70-quart plastic bins and one 16-quart plastic bin. For your camping packing list, we recommend the clear variety for easier tracking of items inside, and a strong latch or snap-type top is a must to ensure these meticulously-packed containers don’t spill on campground dirt or inside the car. The three family camping bins we will cover are the Utility Camping Bin, the Kitchen Camping Bin, and the most important, Kid Camping Bin, all of which include essentials for lighting, cooking, cleaning, playing, and more. 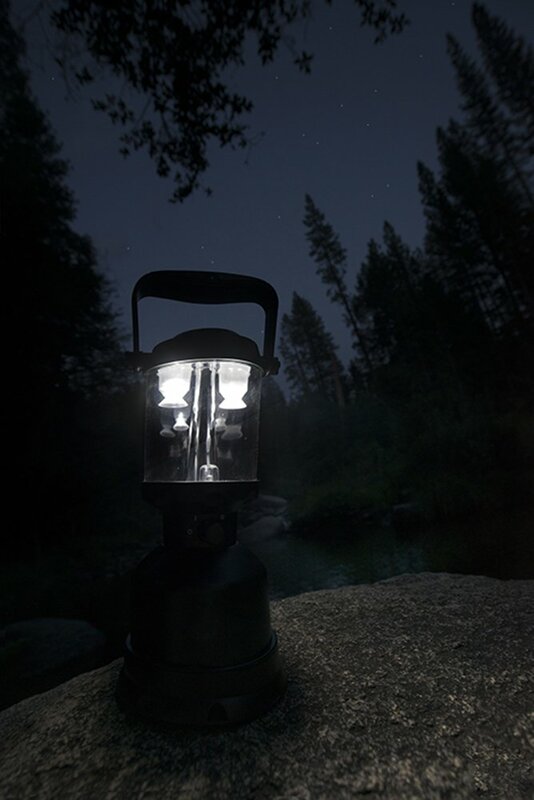 In the next section, our camping packing list will go over the must-haves for the Utility Bin, including camp hacks and suggestions for lighting up your campsite and the perfect family first aid kit. You can keep reading below or just download our FREE printable camping packing list now and start getting organized! 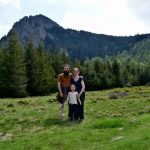 It’s a constantly evolving effort to be more efficient when on family camping trips, so now it’s time to sit down and take inventory of what your family’s essential camping packing list needs are. Even if you’re not a list-maker by nature (or even a frequent user of the word “inventory” for that matter), being prepared when you’re out in the middle of nowhere with a toddler or a teenager, is a sanity-saver. Family Camp Hack : Unzip your sleeping bags, during the day, so they will air-out and dry. The first large family camping bin, which we will call the “utility shed,” houses essential camp hack items for visual acuity, burning, and cleaning. Think of it as the junk drawer of family camping bins, only more organized. 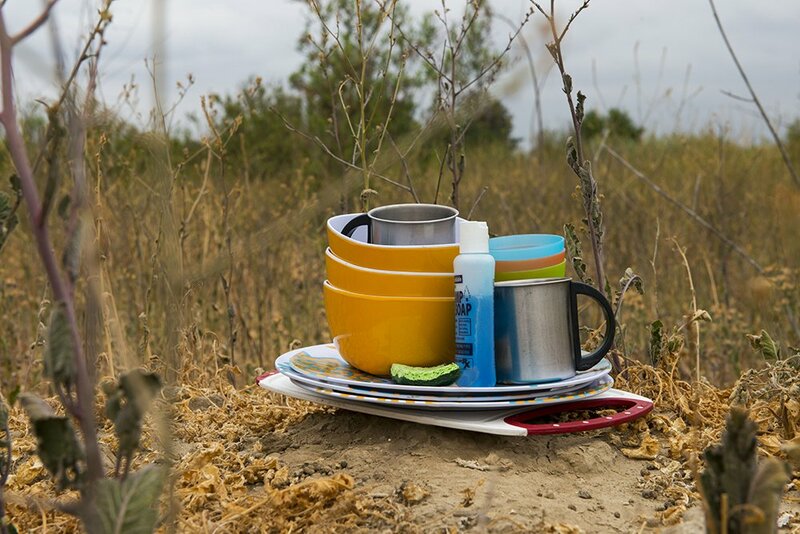 In the next section, our camping packing list will go over the must-haves for the Kitchen Bin, including a winning camp hack, suggestions for durable campsite cookware, and family camping essentials like marshmallow roasting sticks. You can keep reading below or just download our FREE printable camping packing list now and start getting organized! Family Camp Hack : Get max performance out of your ice chest by pre-cooling with ice at least six hours before loading. Sporting goods stores and outdoor retailers are great places to start the search for items, particularly during seasonal sales and staff are generally happy to share their favorite camp hack. Next thing you know, a beautifully organized camping bin will be sitting on a garage shelf, packed and ready, making it easier for you and your family to head out into the Great Outdoors. *Camping packing list shown accommodates a family of three; two adults and one child. 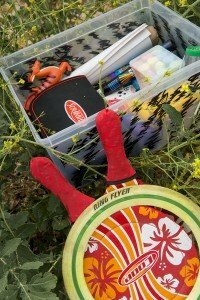 In the next section, our camping packing list will go over the ALL important Kid Bin, including a useful camp hack and suggestions for creative and engaging campsite fun and activities that will further connect your babes to Mother Nature. 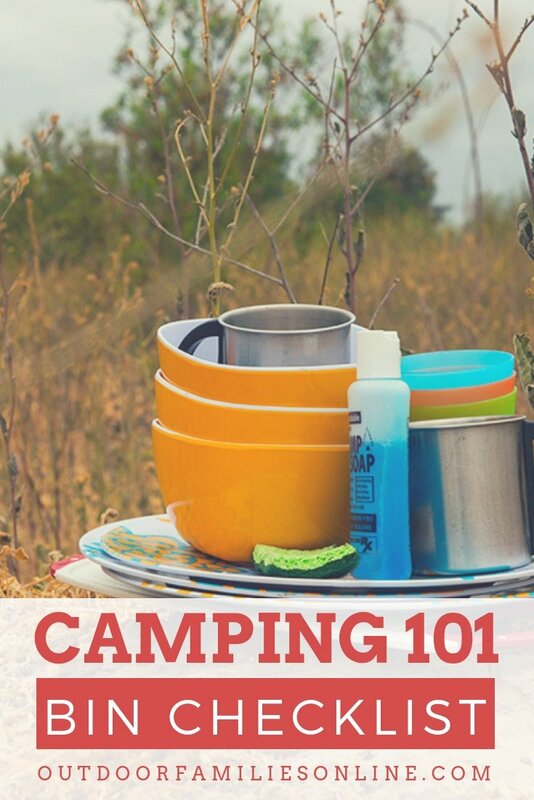 You can keep reading below or just download our FREE printable camping packing list now and start getting organized! The need for a camping bin dedicated to kids may seem counter-intuitive, but even with Mother Nature’s endless supply of dirt, rocks, and sticks, children still get bored. 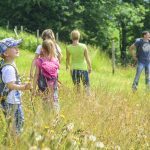 The biggest camp hack we can impart to make family camping enjoyable is never underestimate the comforting effect a handful of thoughtful toys have on a child who is away from home. Family Camp Hack : If your kids are first-time campers, try sleeping in the backyard first. Camping trips offer a wide array of ways to engage kids, so invite them to the packing party. Use our camping tips and tricks to get them involved in camping packing list making and checking items prior to departure, making preparations as much fun as the trip itself! Another great camp hack for family camping, whether you’re car camping or bike camping, is once at the campsite, hand over a bit of control by delegating simple chores and watch a previously uninterested kid blossom into an energized, confident campground leader. Still have more family camping gear to buy on your list? Check out our recommendations on the best family camping tents under $100, our list of the best larger family camping tents, and our favorite kids family backcountry camping backpacks. Off we went, in my rush to pull everything together, I forgot her coat. Realized it 1-1/2 hours down the road. Fortunately, my coat had a shell and liner. She used the shell. We had a great day of fun and it makes for a good story but couldn’t help but think I needed a list like this. Definitely saving this later! Packing for camping is definitely a science, and one we’re STILL attempting to master. Especially now that we have a little one, the amount of “stuff” seems to have doubled. Great list! We like a small ax and firestarting kit too as many campgrounds don’t have them so it’s hard to split wood and make a nonsmoky fire. fantastic guide, I can’t wait to go camping this summer. We started bringing a laundry bin on our trips and it really does make a difference with organization. Great list! 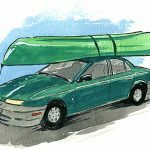 I clicked the Car-Camping Checklist & was taken to an email subscription list. I signed up but still cannot access the FREE printable Car-Camping Checklist. Any tips? Sorry to here you’re having troubles. There is a two-step confirmation process to signing up for our newsletter. Check your email’s spam folder, it may be hiding in there. Once you have completed that process, you should receive the email with your free camping packing list download! Please keep in touch to let us know if you encounter any other issues. Thanks for reaching out with your concern and sorry for any delay. It looks as though the email was delivered an hour after you posted this, but please keep in touch to let us know if you encounter any other issues. I must admit that I’ve never been a MASSIVE camping fan, but I do appraciate this post. Especially the mention of bringing marshmellows! 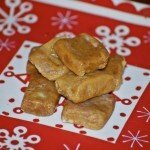 Although, I probably wouldn’t save them for just camping haha. Thanks for sharing, it’s been a good post to read.